Shell is reportedly looking to sell its Rosetta offshore production license it operates in Egypt. 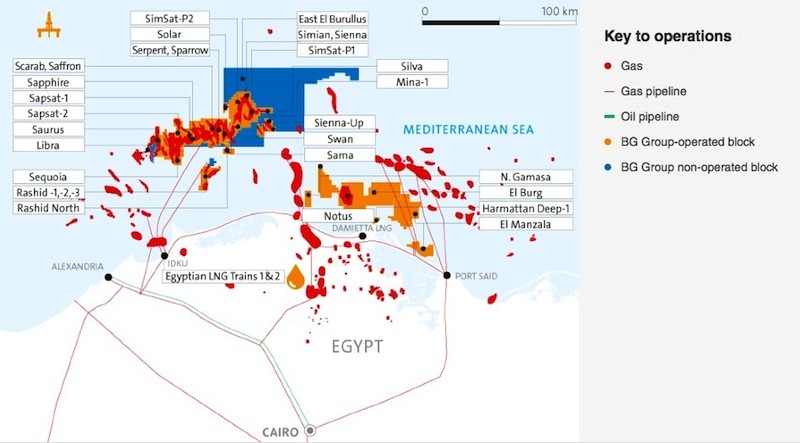 According to Egypt Daily News, the oil and gas giant is giving up on further any development work on the concession located in the Mediterranean Sea due to a lack of economic feasibility. The newspaper cited an unnamed source who said that production from Rosetta, currently at 40 million cubic feet a day, will cease due to natural decay not being offset by development drilling. The Egyptian newspaper further gives a potential rationale behind the alleged decision to divest the asset which Shell obtained through the acquisition of BG Group last year. Namely, Egypt Daily News has pointed to its previous report according to which Egypt owes shell $1.3 billion for the share of gas produced from the Rashid and Burrulus concessions. Offshore Energy Today reached out to Shell, seeking comment. The spokesperson would not comment on the allegations that Shell is divesting due to the lack of payments on behalf of the Egyptian government.